This is the third of four illustrated descriptions of the new and exciting products seen at CanJam NYC 2018. 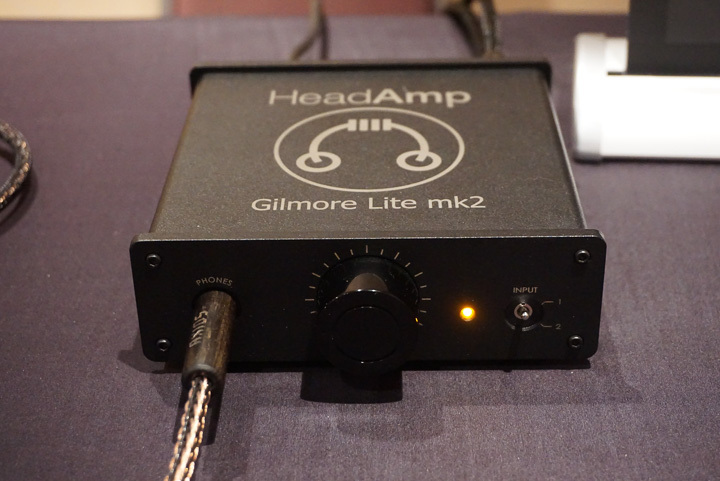 The wheels of change turn slowly at Headlamp, but for CanJam NYC the firm introduced its all-new Gilmore Late Mk2 headphone amplifier/preamp ($499), which was wowing show attendees and fellow exhibitors alike with the sheer level of performance per dollar it offers. The Gilmore Lite Mk 2 is an update of the classic Gilmore Dynamic Amp (this is contrast to Gilmore-designed electrostatic amps) and features discrete Class A circuitry, an outboard linear power supply, and switchable preamp outputs. This amp had many of the veteran headphonistas in attendance buzzing over the fact that a manufacturer had finally succeeded in creating a truly serious high-end headphone amp/preamp that managed to slide-in just below the magic $500 price point. 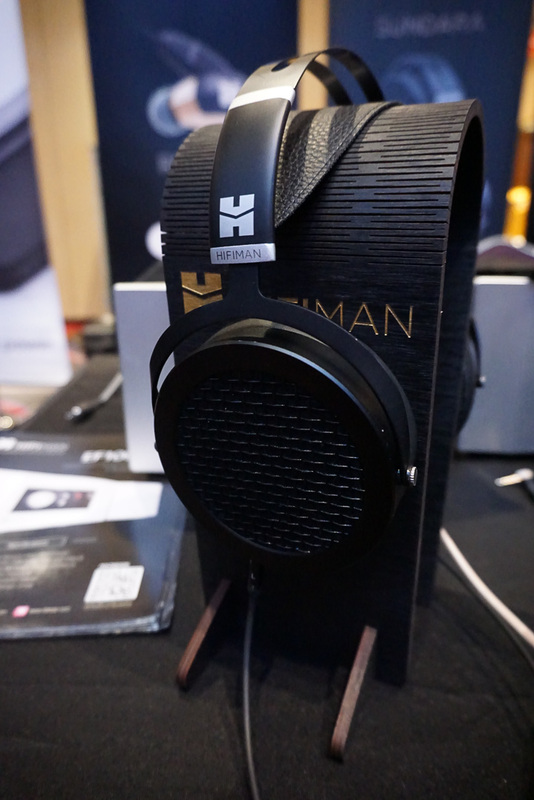 The Chinese firm had two (or perhaps three) major announcements for CanJam NYC: first, the production launch of the firm’s exceptional and value-priced Sundara open-back planar magnetic headphone ($499); second, the introduction of a comparatively cost-reduced Shangri-La Jr. electrostatic headphone system (that is, an electrostatic amp and headphone offered as a bundle at $8000); and third, the quiet but highly significant announcement that HiFiMAN would consider bundling the Shangri-La Jr. amplifier with the full-fledged Shangri-La headphone(that is, the headphone from its $50,000 Shangri-La system) for the approximate price of $15,000. The Sundara, which will replace HiFiMAN’s well-regarded HE-400-series models, looks to be a sure-fire value-for-money winner. The headphones sports all new drivers with diaphragms said to be 80% thinner than those used in the HE-400 models. Accordingly, the Sundara offers an exceptionally rich, nuanced, and expressive sound relative to most competitors in its price class. The Sundara also offers a revised headphone frame/headband system that—when properly adjusted—is extremely comfortable. The $8000 Shangri-La Jr. electrostatic headphone system will come as a breath of fresh air for those still experiencing ‘sticker shock’ over the price of HiFiMAN’s flagship Shangri-La system, which sells for wallet-bursting $50,000. 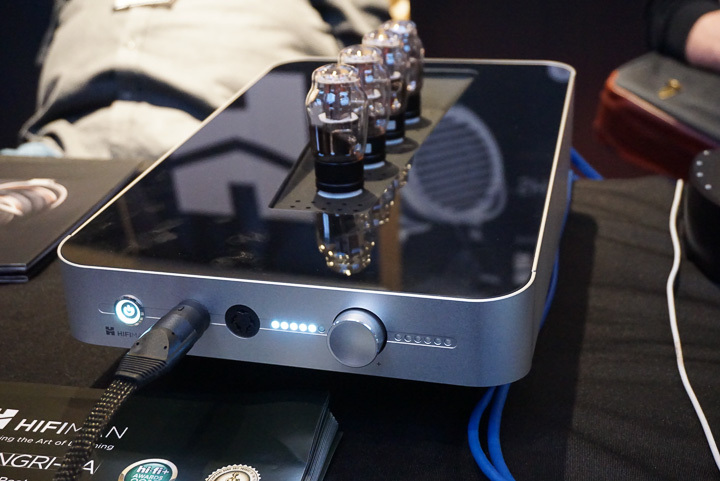 As you might expect, the Shangri-La Jr. system features a simplified and more compact valve-powered electrostatic headphone amplifier and an also simplified electrostatic headphone. Together, the ‘Junior-series’ components give a substantial taste of what the big Shangri-La rig is like, but for less that 1/5th the price. However, I inquired as to whether the firm might also consider pairing the full-fledged Shangri-La electrostatic headphone with the Shangri-La Junior amplifier and received “yes” for an answer. I briefly tried the Shangri-La headphone with the Shangri-La Junior amplifier and found the resulting system sound to be very impressive—surprisingly close to the sound of the big Shangri-La rig, but at a much more manageable $15,000 price. Why the jump up from $8,000 to $15,000? The short answer is that the Shangri-La headphone is more labour-intensive and expensive to build than the Shangri-La Junior headphone. While $15,000 is an awful lot to spend on a headphone system, it’s not an insane price to pay for a system that offers near state-of-the-art performance. The Chinese firm iBasso is perhaps best known for its very high quality portable high-res digital audio players and other personal audio-related electronics, although of late it has been garnering acclaim for it affordable, high performance earphones. 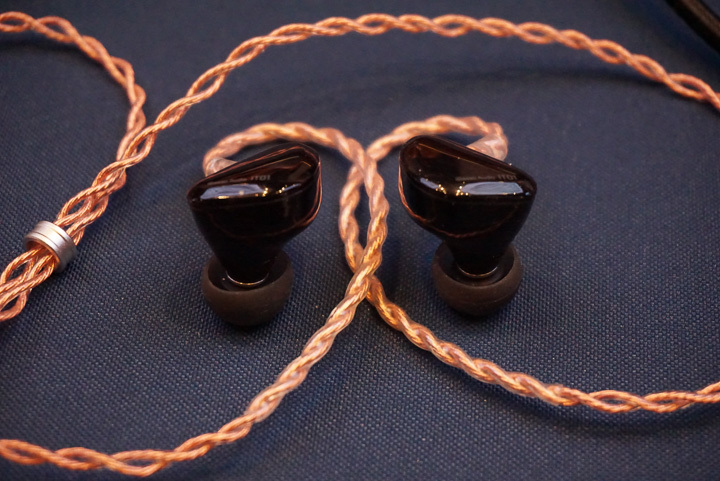 Reflecting these priorities iBasso’s CanJam NYC demonstrations centred on the firm’s flagship DX200 DAP ($869 - $899, depending on the amplifier module chosen) and on the IT01 ($99) and IT04 ($499) earphones. The DX200 is not a brand new product, but it does arguably stand as the firm’s best sounding and most versatile DAP ever. The DX200 features dual ESS ES9028 Pro DAC devices, uses an ARM Cortex A53 8-core 64-bit processor, runs under Android 6.0, features 2GB of LPDDR3 RAM, 64GB of eMMC memory, uses dual Accusilicone femtosecond oscillators for low jitter, and high quality, low-noise parts throughout. Perhaps the most distinctive feature of the DX200, though, is its ability to accommodate a wide range of optional iBasso amp modules. The AMP 1 module is the default offering and provides one single-ended and one balanced output, plus a line out jack. Other options include the AMP 3 balanced output amp modules with a 2.5mm TRRS balanced jack and a line out jack, the AMP 4 balanced output module with Pentaconn connectors, and the AMP 5 single-ended only output module with 3.5mm and 6.35mm headphone outputs and a line out jack. Additional amp modules are sold separately for $199/each. iBasso’s value-minded earphone offerings are led by the IT01 ($99), which is fitted with a dynamic driver equipped with a graphene diaphragm. 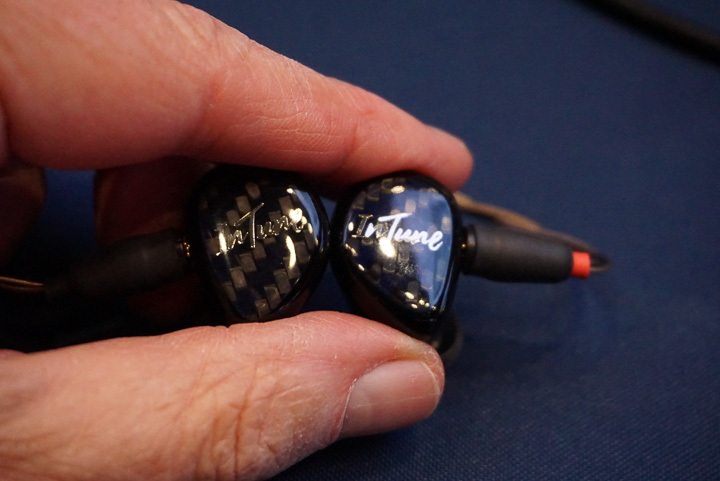 In turn, the model IT04 earphone ($499) uses a hybrid driver array consisting of three balanced armature-type drivers plus the same dynamic driver as used in the IT01. After a brief listening session with the IT04 I came away with the impression that it is a very evenly balanced earphone. 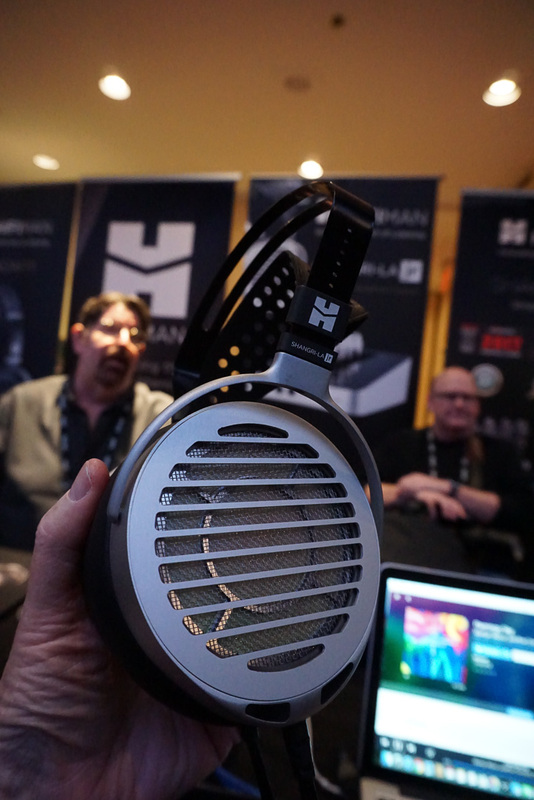 The British firm iFi Audio had two major announcements for CanJam NYC. 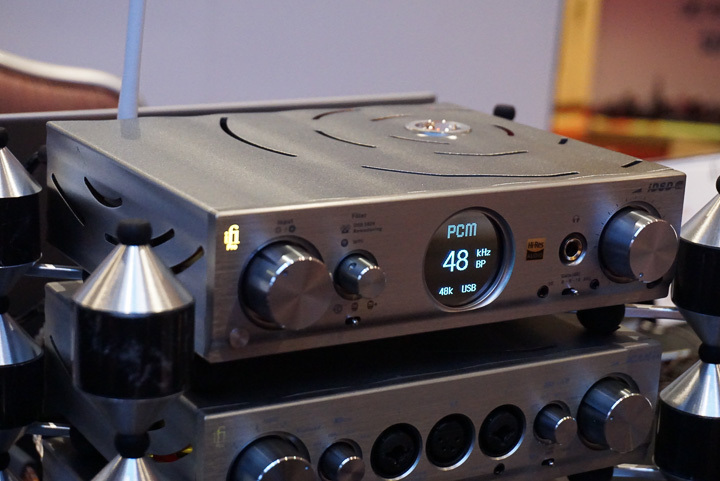 The first was the launch of the firm’s most ambitious DAC/headphone amplifier to date: the Pro iDSD ($2,499). The Pro iDSD is an exceptionally full-feature DAC that can play DSD files at levels up to a mind-bending DSD1024, can handle PCM/DXD files at rates up to 32/768, that is fully MQA compatible, and that offers both networking and wireless Bluetooth connectivity. The Pro iDSD features a fully balanced circuit from end-to-end, and incorporates a good headphone amplifier as well (although iFi naturally hopes that end-users will pair the Pro iDSD with its excellent Pro iCAN headphone amplifier/preamp). 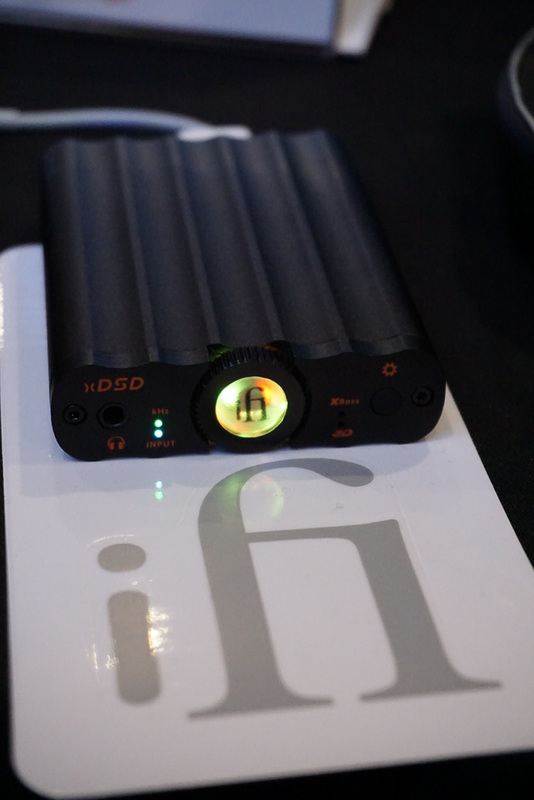 In addition to the rollout of the Pro iDSD, iFi also showed the first model in what will become an entire new range of ‘x-Series’ compact components, starting with the impressive new xDSD (projected price ~$400). The xDSD can be seen as a massively upgraded and functionality enhanced version of the iFi Nana iDSD Black label as recently reviewed in Hi-Fi+. 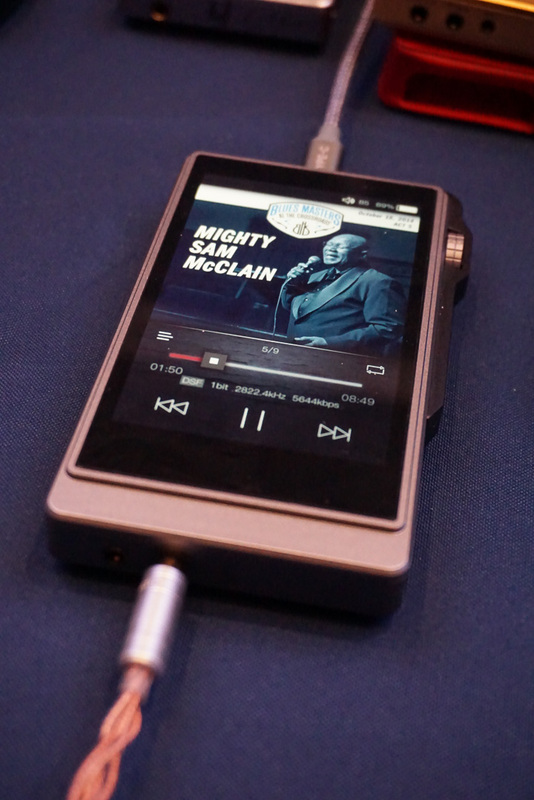 Accordingly, the portable, wireless, aptX Bluetooth and AAC-enabled xDSD features essentially the same DAC as iFi’s larger and more costly Micro iDSD Black Label, offering decoding capabilities for DSD files to DSD512, PCM and DXD files up to 32/768, and full MQA compatibilities (something even the Micro iDSD Black Label did not provide). What is more, though, the xDSD uses that same proprietary iFi ‘S-Balanced’ circuit topology as found in the Nano iDSD Black Label, but with an impressive 500mW power output—more than double that of the Nano iDSD Black Label. We can’t wait to hear the xDSD in action and look forward to seeing what other x-models iFi will release over time.